You want to protect your family from biting insects and the diseases they may carry, but you don't want to use harsh chemical repellants. You want something natural that's long-lasting and convenient. 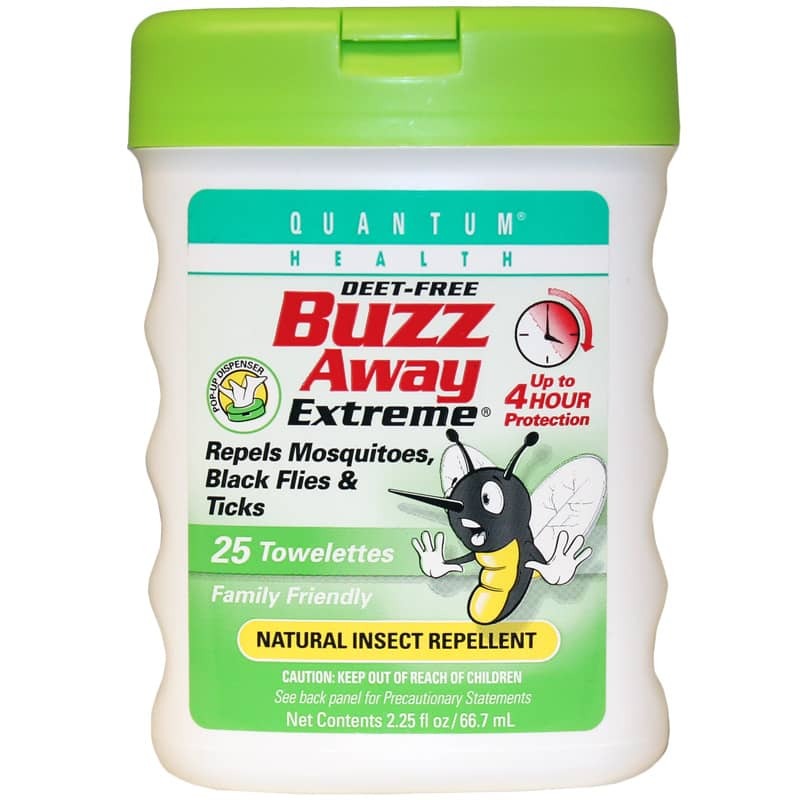 Deet-Free Buzz Away Extreme Towelettes from Quantum Health are a convenient, all-natural, pleasant-smelling insect repellant option made from pure essential oils. Gentle and suitable for the entire family. 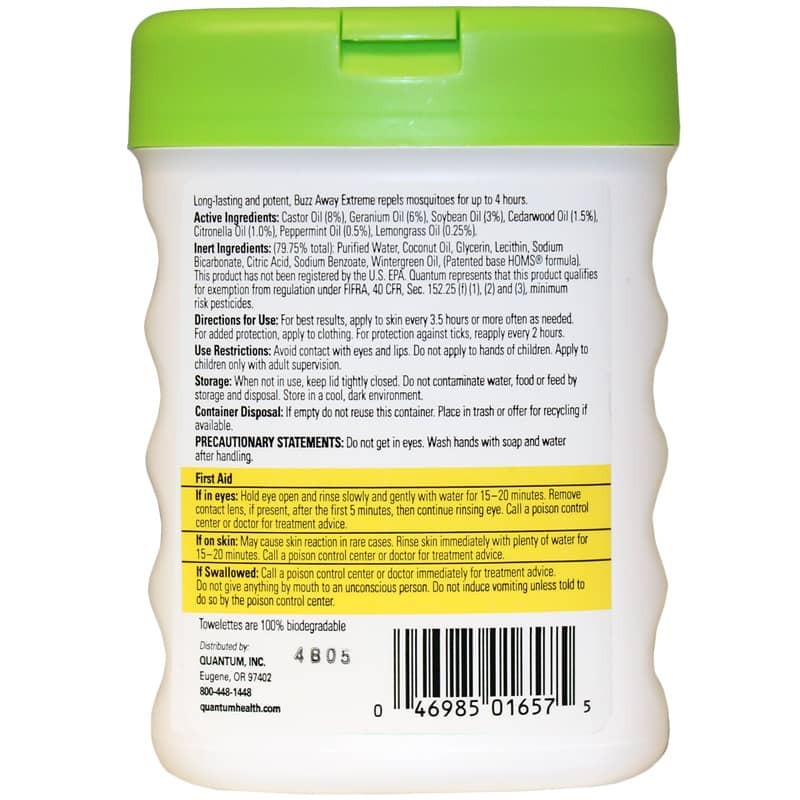 These easy-to-use insect repelling wipes are made with natural plant oils, including castor and soy oil and citronella, cedarwood, geranium, lemongrass, eucalyptus and peppermint essential oils. These handy towelettes make it easy to keep bugs off with just a few quick swipes. They're pleasant smelling, DEET-free and suitable for the whole family. Order yours now! Adults: For best results, apply to skin every 3.5 hours or more often as needed. For added protection, apply to clothing. For protection against ticks, reapply every 2 hours. Avoid contact with eyes and lips.